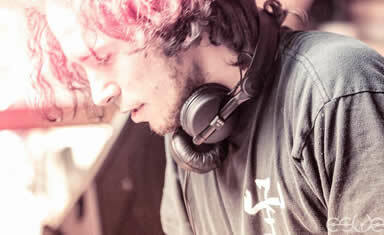 Tron is the solo project of Mexico-based artist Patricio - his style is unique in psychedelic trance, with fusions that go from morning funky to the most psychedelic consistent sounds; which makes his style fit anytime on the dancefloor. Born in 1981 in Mexico City, he has a long carreer on classical guitar. Started producing trance in early 2000 and 2 years later he was playing in clubs and gatherings all around Mexico. His first release Existence was released with Liquid Records, based in London in January 2006, and had raving reviews and excellent feedback. His second full lenght Bio-Logic was released on 2009 placing him fully on the international scope as one of the leading figures in the trance scene worldwide. Between his colaboration projects there is "The ART conspiracy" (with Psymmetrix), "Blind Roller" (with Mood Deluxe), "Floating Point" (with Dj Pollyfonika), and a couple more within other styles of dance music. He has collaborated with lots of artists and played in countless festivals, and clubs all over the world.